US/Silver Spring: GiftTree, a Vancouver, Washington establishment, recalls an estimated 94,000 units of Sherman Candy Caramels sold online in the several Gift Baskets due to suspected Almond Nuts, Peanuts, Pecans and Walnuts, all known allergens, sources of dietary intolerance and possible triggers of Anaphylaxis, a serious and potential fatal situation, requiring immediate medical intervention. 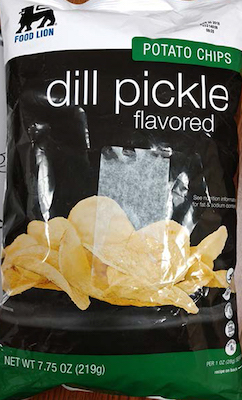 US/Silver Spring: Shearer’s Foods, LLC of Massillon, Ohio establishment, recalls an estimated 7,797 cases of Food Lion branded Dill Pickle Flavored Potato Chips due to undeclared Milk, all known allergen, source of dietary intolerance and possible trigger of Anaphylaxis, a serious and potential fatal situation, requiring immediate medical intervention. 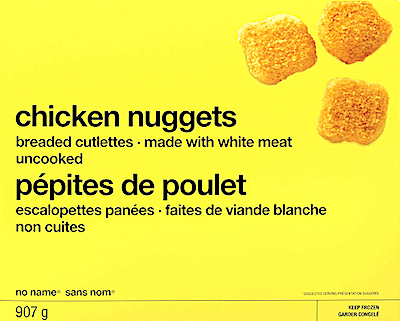 Canada/Ottawa: Loblaw Companies Limited, a Brampton, Ontario establishment, recalls certain batch/lots of No Name branded Chicken Nuggets due to suspected Salmonella contamination and consequential risk of gram-negative bacterial infection, severe illness and/or possible life-changing complications, all serious health hazards.